The Ergo-lift is the first link in the brand new "Ergo-line" chain. This small automatic wheel lift can load your "Ergo-roll" roller conveyer at a lightening pace or bring the wheel to the load height of all DQN products. 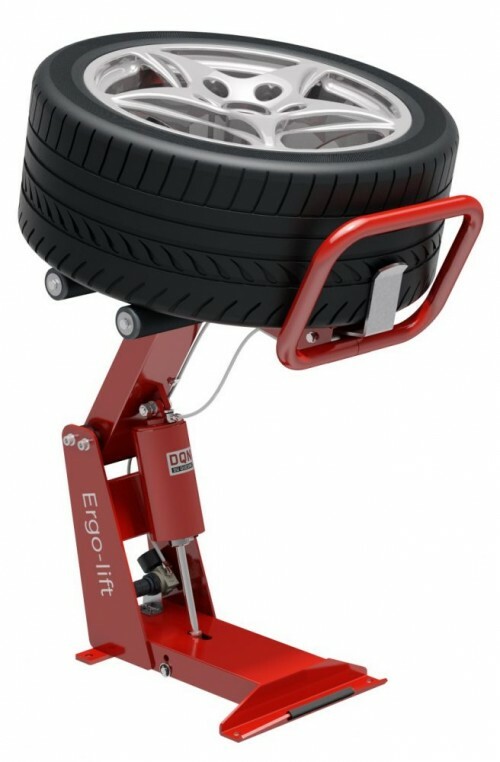 In the "Ergo-roll table load" mode, the lifting movement rises to its maximum height without braking, providing the wheel with horizontal speed so that it moves forward on the roller table. In the "Machine load" mode the movement stops at loading height and stays at a high position as long as the wheel has not been unloaded.